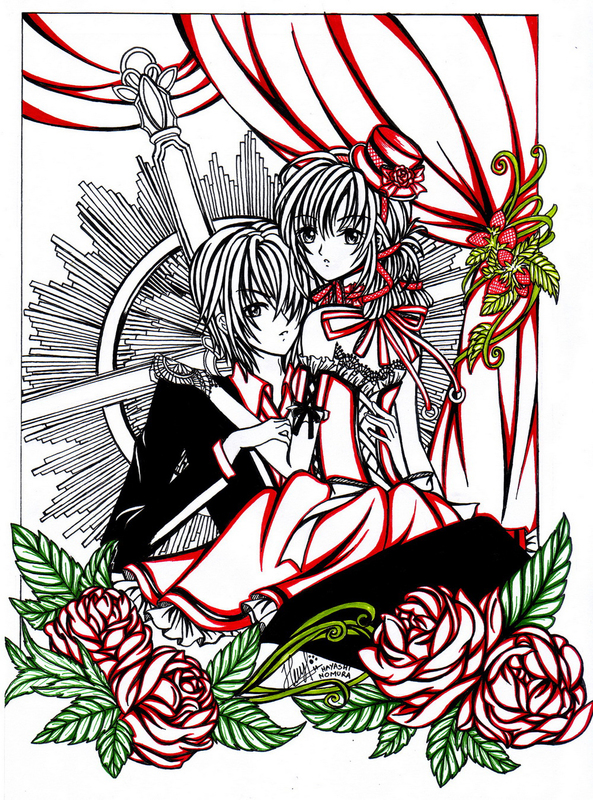 Ooo I love the red rose here and the chair-like thing in the back looks difficult. btw,gmbr yg kamaren ga jd di post....? As always, nice lineart... so clean and dramatic! I must admit I'm not quite sold on the coloring... I think if you were going to only use red to highlight you should have stuck with that OR if you wanted to use other colors to do the whole thing. As is, it looks unfiinished. Nonetheless, it's still a lovely work of art. :) Keep up the great work! Looks great, I like how you only colored some parts. Awesome. Those roses look superb. Wow you're a pro! You've some firm traces and what nice shapes! Keep the good work!